As a homeowner we tend to make the most of the capability of the location where our house is built. We take the full advantage of every feature that we can see in the surroundings. With that we think of ideas or concept that will make our house stand out among the other houses in our neighborhood. Today we will be showing you a house that truly displays the potential of its site. We can also see how the designer responded to the demands of the client. 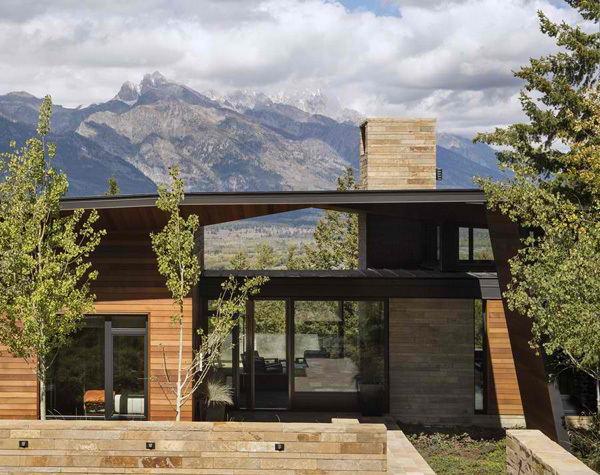 Built and designed in Jackson, Wyoming is a house named Butte Residence. I am amazed of the remarkable location as well as the design of this house together with the acceptable profile of the skyline. The homeowner is a renowned collector of contemporary art and sculpture. He desired for a kind of architecture that will reveal the character and materiality that respects the western tradition and culture. But this can still welcome the abstract, clean, light-filled spaces on it. 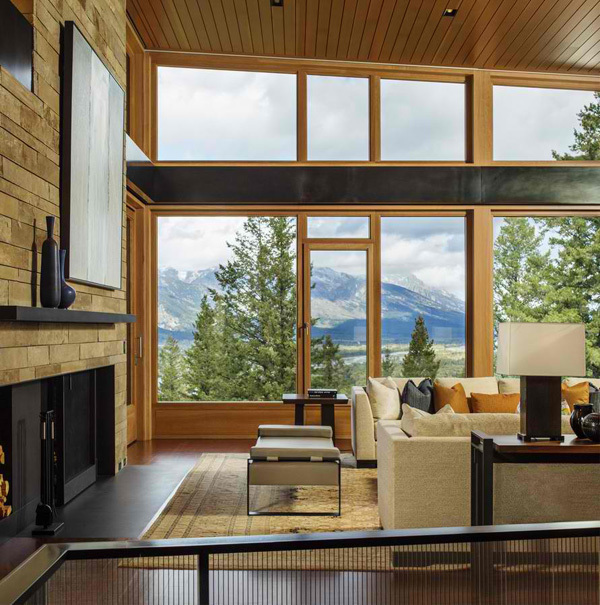 What is really special about the Butte Residence? Let’s find out through the images below. 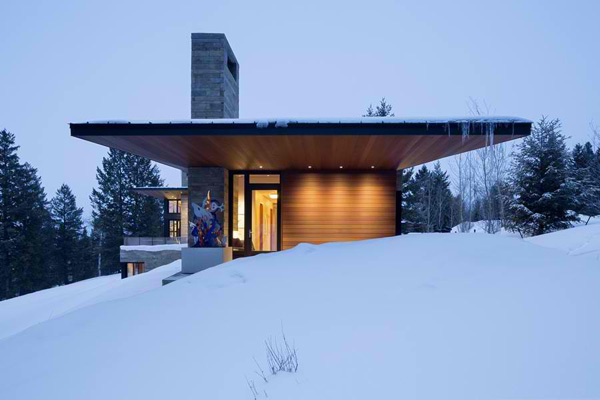 Let’s take a glance on this breath-taking view from the house’ walls of the house during winter. 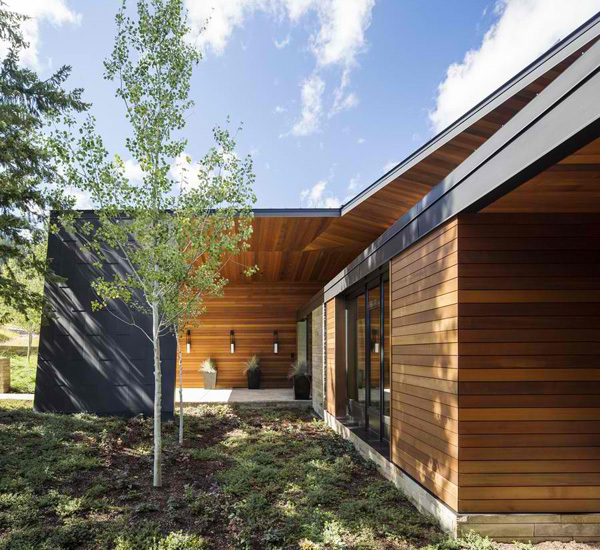 Different elements are combined here to make this exterior more graceful and lively. 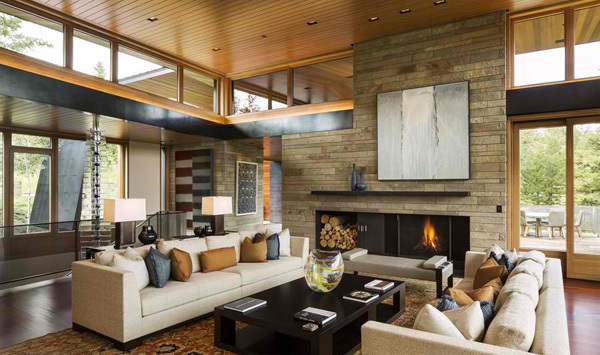 Distinctive lines and texture are visible in the walls and floors in this area of the house. Beautiful morning will never be the same without the sunlight that can freely access here. From this space the rich and gorgeous mountain views are available. The incredible landscape makes this area more catchy and fascinating. The choice of wooden furniture in the patio may surely complement with the unique theme of the house. At this terrace, the homeowner may take the full advantage of the splendid panoramic views. Plain beige, brown and grey color of pillows may perfectly match with the design of the interior. 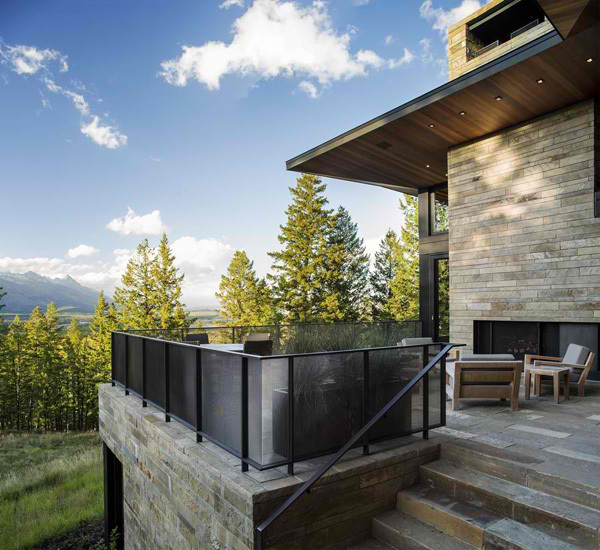 The client can unwind from his stressful work as he sits down and enjoy the mountain views. 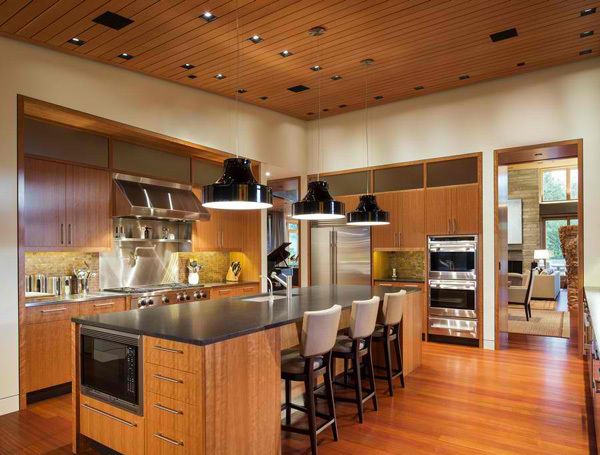 High technological equipment also offered in this kitchen that made this look luxurious. 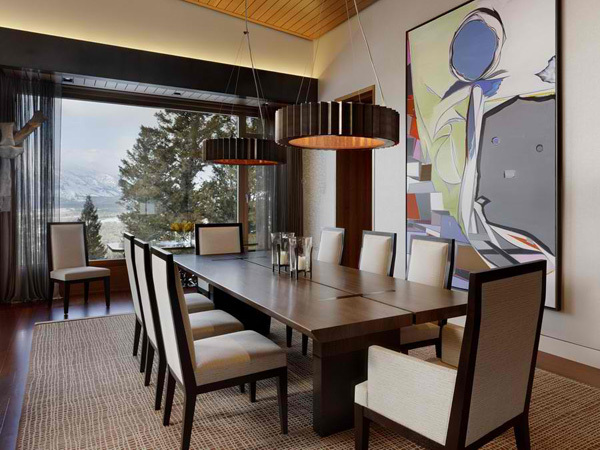 The designers mix and match the color of the interior with the dining set here. 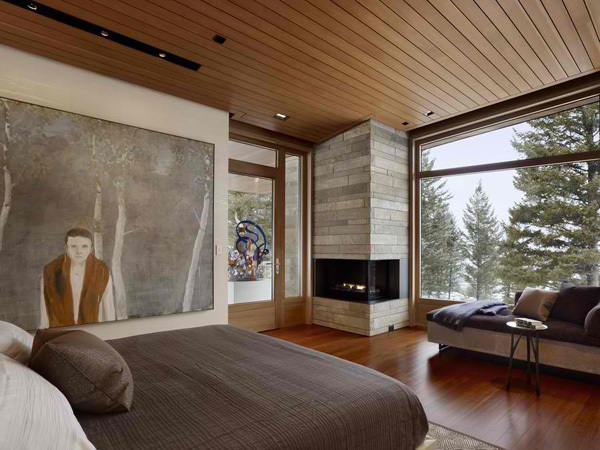 This area may be limited but the glassed walls is very effective to make this area look more spacious. 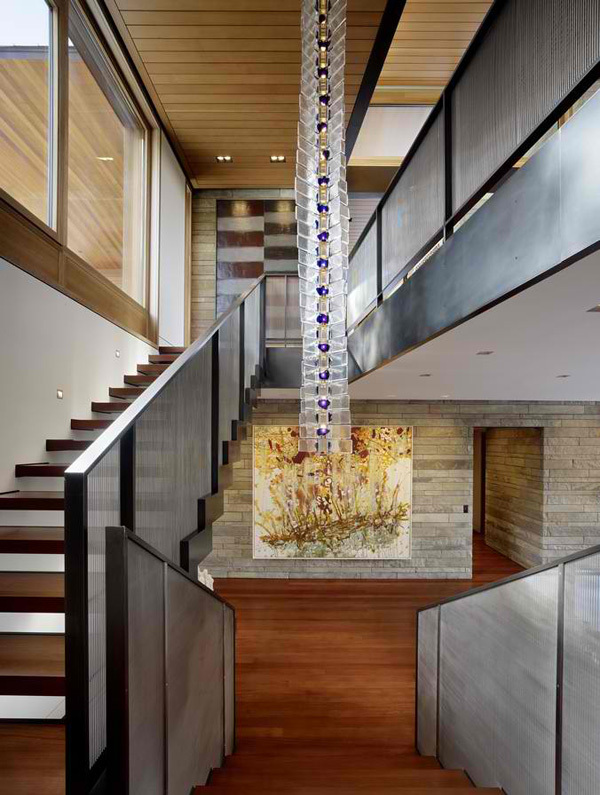 The accessories and wall art display in this area made this stairs more attractive that seems invite the homeowner to explore more of the second level of the house. Paintings that exhibit nature and humans are well-displayed here which creates a strong connection with the surroundings. Latest fixtures and eye-catching lights is enough to unveil the elegant and comfortable bathroom. 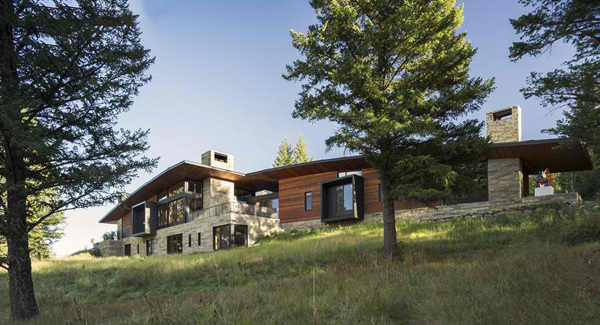 This contemporary house that also serves as the artist studio has 38 acre site and located on overlooking site of the Snake and Gros Ventre Rivers. 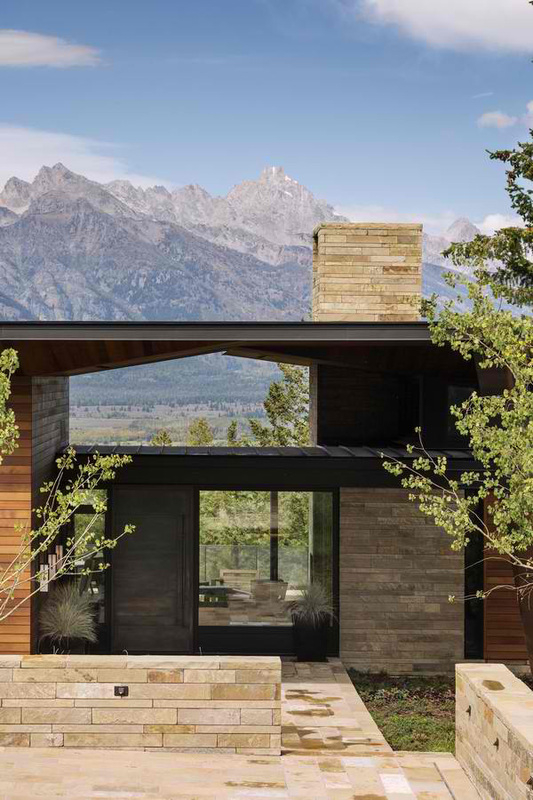 The panoramic views of the Teton Mountain Range and Nation Parks are also visible in this house. 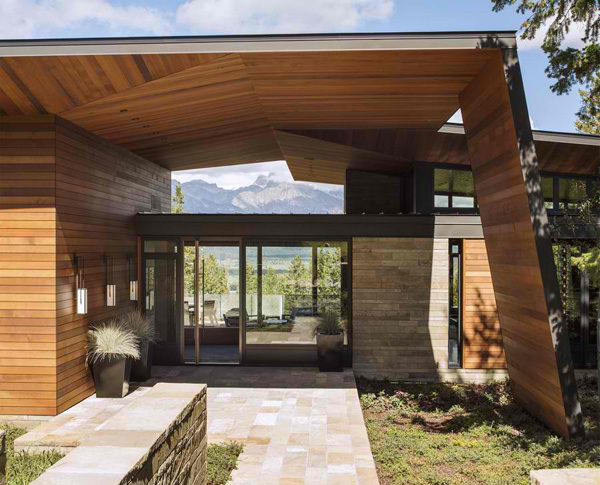 As we see the roof of the house seems to mimic the soft shape of the butte the reason why it is called as the Butte Residence. These create a series of protective canopies that can provide shelter in the harsh western landscape. 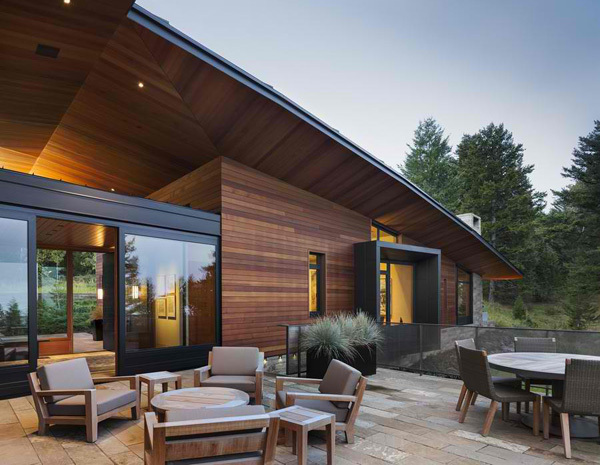 The Carney Logan Burke Architects definitely designed this contemporary house successfully.